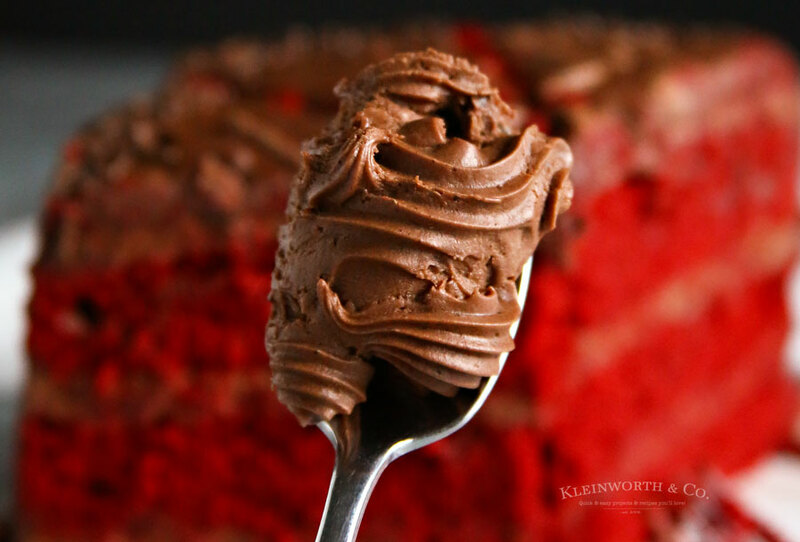 Chocolate Cream Cheese Frosting is the perfect compliment to a dense & delectable red velvet cake. 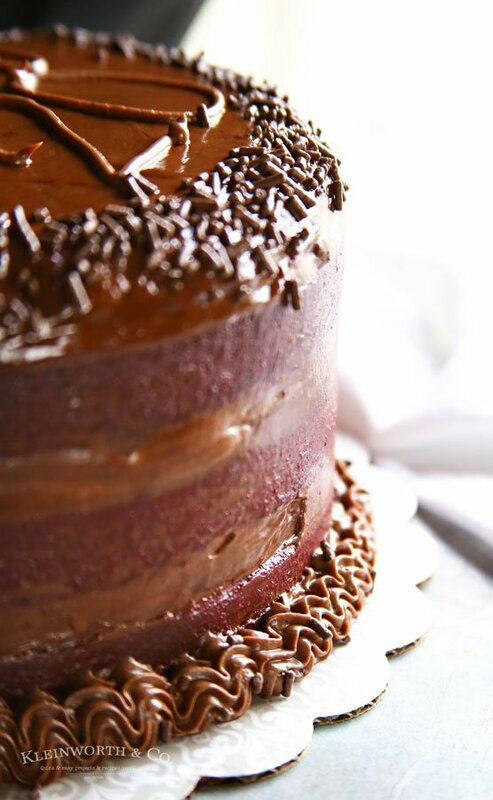 Perfect for the extreme chocolate lovers. 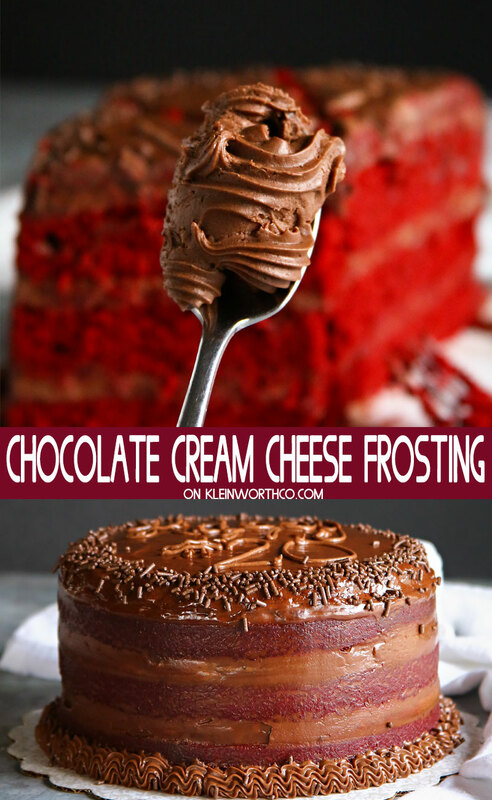 Do you love cream cheese frosting? 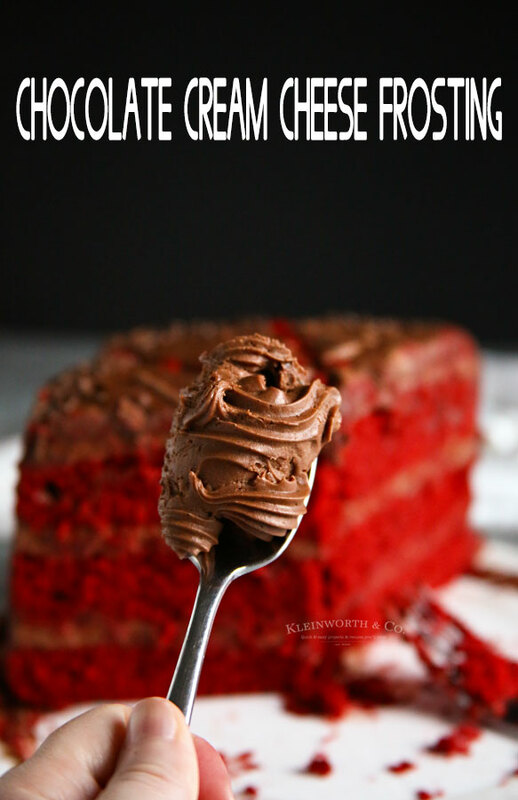 I sure do because not only does it pair perfectly with red velvet cake, but also so many other great cake, cookie & brownie recipes. But this time I was making a red velvet birthday cake for my son. I didn’t want the cake to look like it was for Valentine’s Day & didn’t want it too feminine, I wanted something more masculine for this cake. So I thought Chocolate Cream Cheese Frosting would be perfect. 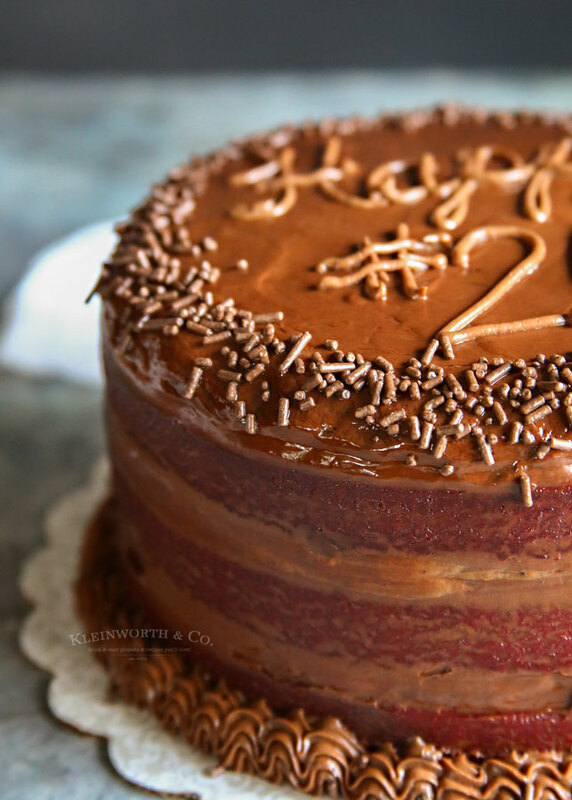 This frosting was the perfect complement to this rich & dense red velvet cake. I don’t know what it is about that pairing, but it just goes so well together. 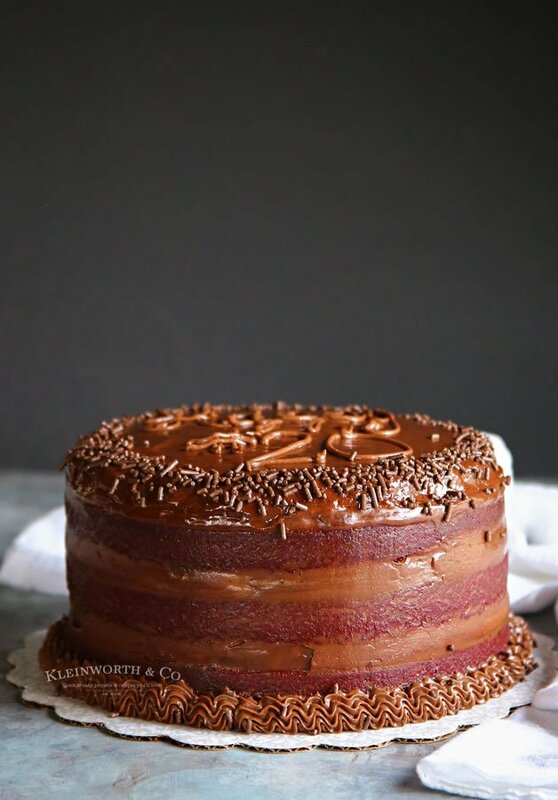 Since I am currently obsessed with naked cakes, we decided to keep this one “semi-naked” & just add a bit more frosting around the top & bottom. It gave the perfect cake to frosting ratio if you ask me. It is as easy as adding the ingredients to a large mixing bowl in the specified order & beating well. It comes together quickly & makes more than enough to fill this 3 layer cake & add what you see here with a little bit left over. If I had gone a little thinner with the frosting in some areas I probably could have frosted the whole cake. 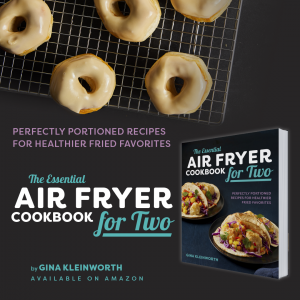 This recipe calls for a stand mixer, is that necessary? I use a stand mixer, but you could definitely use a hand held mixer. I don’t recommend using a whisk. That would be quite an arm workout. I was able to frost what you see here with a little bit left over. Looking at it now, I probably could have filled & frosted with the crumb coat & top coat for this & then made another half batch for the extra decorating. 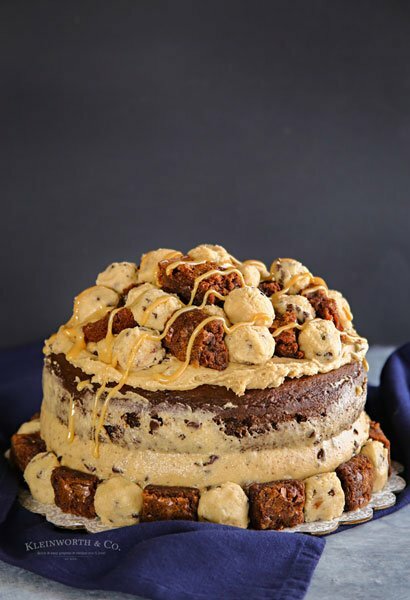 I don’t think you could do the whole cake with full decorating with just this one batch. Please don’t do this. It won’t have the right consistency & then you will come back here & be upset with me because the recipe didn’t turn out. 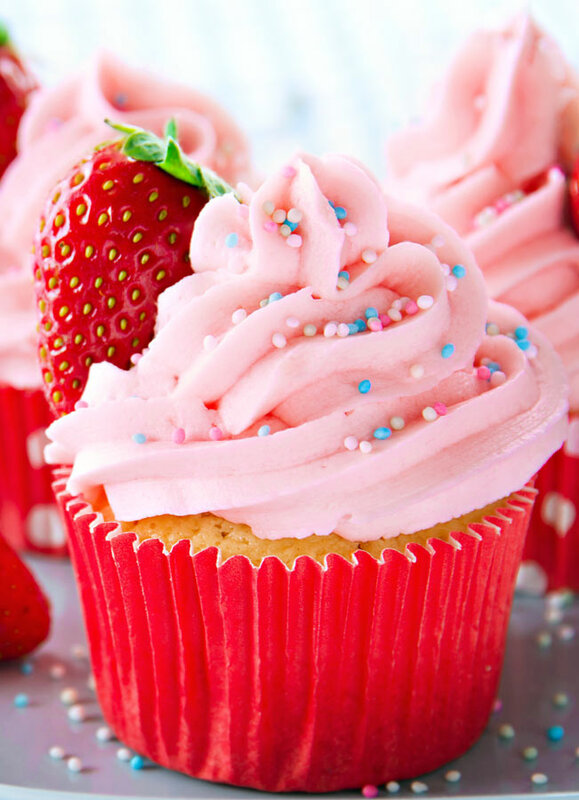 Please use full fat cream cheese for this frosting. 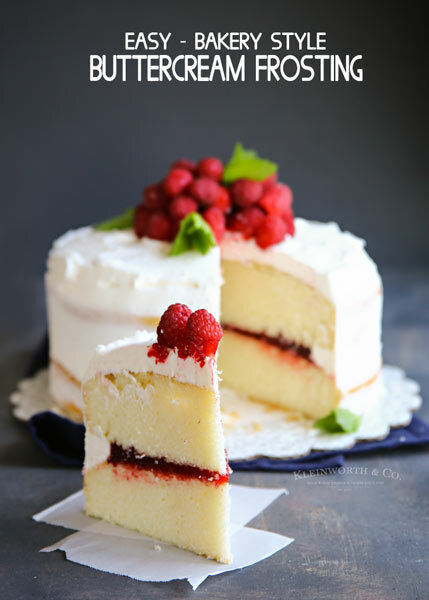 If you are looking to take your cream cheese frosting to the next level, this is the frosting recipe for you! 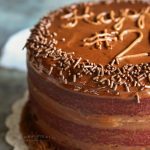 Looking for more great frosting recipes? In a large bowl fitted with the paddle attachment, beat the cream cheese on high until smooth. Beat in butter until creamy. Slowly mix in confectioners sugar, cocoa powder, vanilla, milk & salt until well blended. Add another tbsp of milk to thin out if desired. That must be so so rich and wonderful! Oh my gosh my mouth is watering just reading about it! Definitely going to give this one a try! Thanks for sharing! That sounds amazing! You’ve just combined my two favorite frosting flavors. Pinned.